In a lot of ways I kind of feel like thanking Nintendo for bringing about the great mini-console trend of 2018. And not just because it brought me the NES and SNES Classic, which were way too hard to come by when they first launched by the way. No, I’d like to thank them because so many companies took a look at what they were doing and said “We’ve got a bunch of old games for our old consoles that people love. Why not us?” This trend has brought us to the point we’re at now where we’re starting to see many licensed products come out that represent a bygone golden era of consoles. 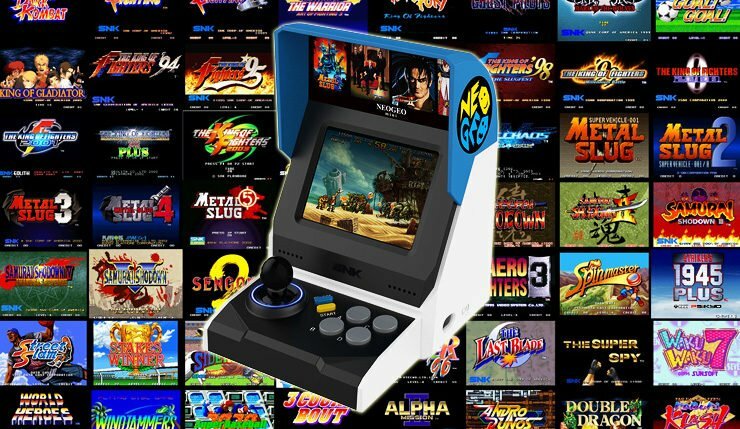 The latest and greatest of those consoles comes in the form of the NEO GEO Mini. I think the thing I like most about the NEO GEO Mini is it’s self-contained. The console is designed to be a functioning super tiny desktop version of an arcade cabinet with a single joystick and four action buttons along with a pause and start/select buttons. It’s sort of like one of those little pool tables you buy your dad for Father’s Day, but this actually functions and there are no balls to lose. While you can use an HDMI connection to play the console on a TV screen, it’s not necessary. And since you only need a USB power outlet to make the core console run you could hypothetically take it on the go and use it in a car if it has a USB socket or plug. While the joystick and buttons are fully functioning there are also two ports for supporting proprietary external controllers. Fans familiar with the NEO GEO catalog are sure to be pleased with the 40 games that made the cut. Classics side-scrolling brawlers like Magician Lord, Sengoku 3, and SHMUPS like Blazing Star top my personal list of included titles. My one major complaint would be that 10 of those 40 games are iterations of The King of the Fighters series, there’s also 3 Samurai Showdown games and several other 1v1 fighting titles. Fighters take up over half of the Mini’s included games and that’s before you factor in the 5 Metal Slug titles also included. Unfortunately, the inclusion of so many fighters also means that you’re more than likely going to need to buy the external controllers to really play through much of the NEO GEO Mini’s games properly. The games still function properly with the integrated controllers, but they’re very small and special moves can be next to impossible to pull off. While I’m fine with many of the games chosen to make the list the NEO GEO catalog is vast and many of these fighting titles and Metal Slug games are readily available on current-gen platforms. I personally already have the Metal Slug anthology installed on my PS4. I would’ve been much happier to get all three Sengoku titles or maybe a handful of lesser-known or rarer games. 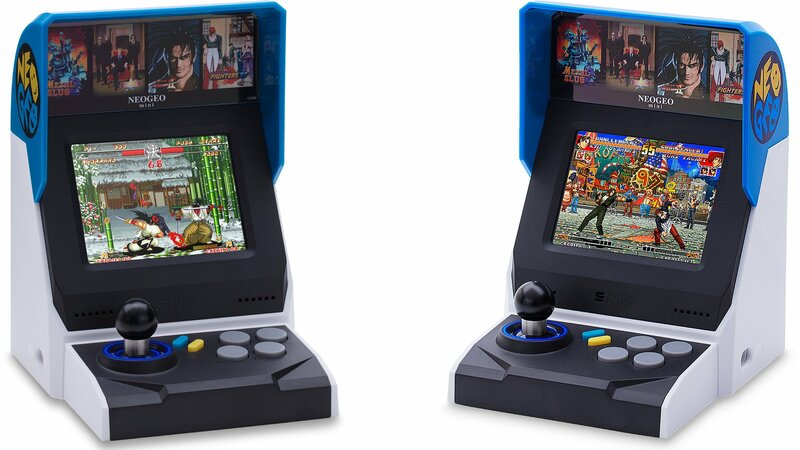 If there’s one other major issue with the NEO GEO Mini it would be the $109.99 price point. While it’s only $20 or $30 more dollars than it’s Nintendo counterparts, you’ll also have to purchase the external controllers separately for $29.99 a piece which puts the overall cost for the Mini and 2 controllers at around $170. With all that said I still think that the NEO GEO Mini offers up a decent amount of bang for its buck just by itself. The NES Classic included 30 titles and the SNES only had 21 games, so while those 10 extra titles on the NEO GEO may all be fighters they still have value. 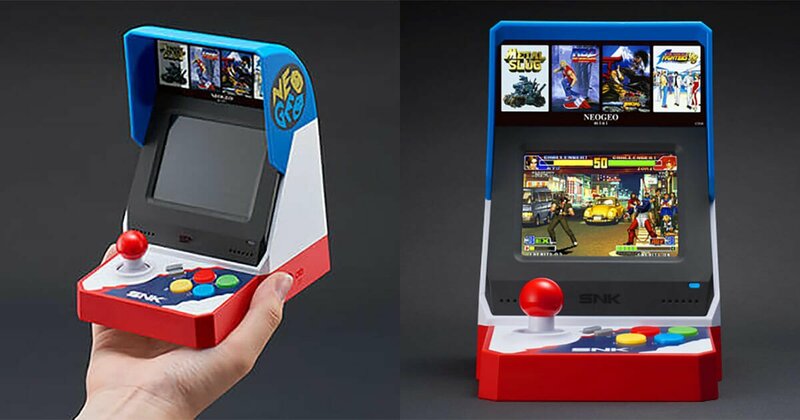 I feel that the NEO GEO Mini innovates in some areas as far as portability and design are concerned, but they probably should’ve put more thought into its catalog. I know that The King of the Fighters is a popular series and that Metal Slug is a no-brainer, but that’s not everything I love about NEO GEO’s overall catalog. I think a little more variety would’ve gone a long way and maybe they could’ve thrown in at least one external controller in with the main console purchase.